YOU’VE PROBABLY noticed that there’s been a massive upsurge in the number of slags who go about stealing bikes in the UK these days. 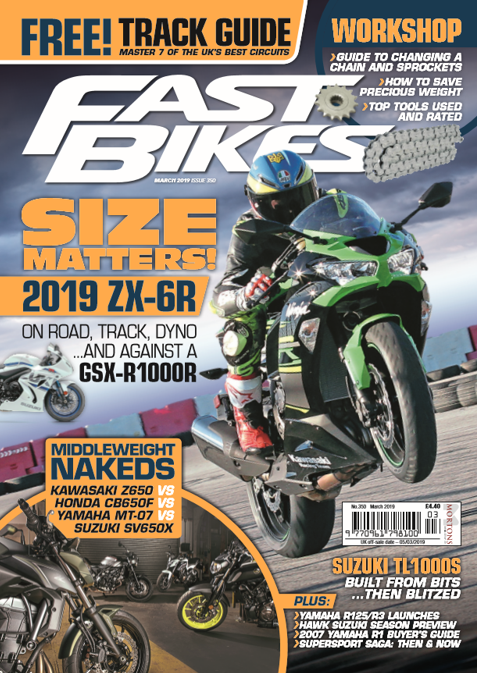 Whether it’s down to a drop in police numbers, the decline and fall of civilisation, or the availability of small, powerful angle grinders, the fact is, bike security is more important than ever. And a big old lock and chain, secured to a solid ground anchor, should be a big part of your security package, especially overnight at home. Enter this bad boy – the new Squire Motolok, featuring the all-new 100mm-wide SS100 Stronghold padlock. 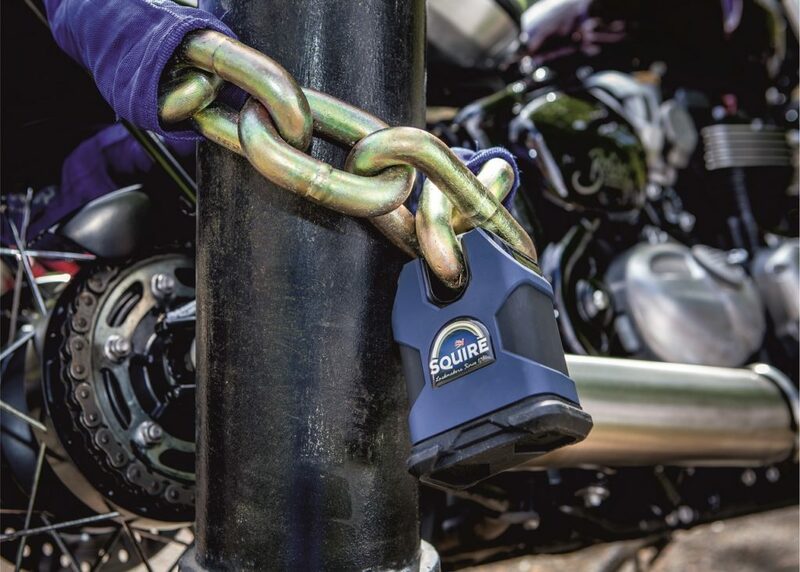 Now, British-made Squire locks are already used by folk who know what they’re doing in the security world – the current SS65 and SS50 padlocks are amongst the best you can use for bike security. And the SS100 takes things to another level. The padlock itself weighs an incredible 4.3kg – so the scrotes will need a long, long time to get through one, even with serious cutting kit. A battery-powered angle grinder will need several batteries and cutting discs to defeat the large, thick, mega-hard boron steel lock parts. See the Motolok, plus Squire’s new prototype grinder-resistant disc lock on the Squire stand at the NEC bike show. They’re in Hall 3, on stand 3B44. Next Post:FEATURE TEASER: GET NAKED!